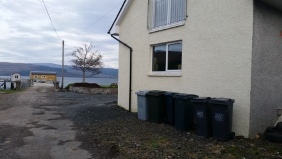 Salen Pier Holidays - Smart & Green. 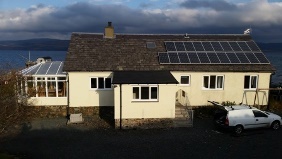 Solar PV panels were installed in 2011 to reduce the electricity used produced by fossil fuels. 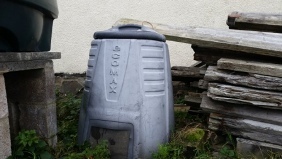 A compost is available between the House and the wooden garage (by the oil tank, and fire wood waiting to be cut up!) for vegetable and plant waste. Cleaned plastics and cans please put into black bags and put by the bins. 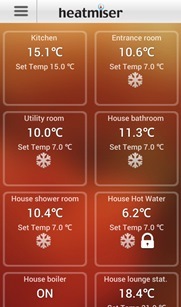 Intelligent heating has been installed in all properties over winter 2014/15. This allows the 'zones' to be controlled separately, thus reducing waste. If clients have any needs for change then the owners can do them remotely.